Decisions, Decisions, Decisions! Which Audio Engineering School? Which Audio Production School is Right for Me? 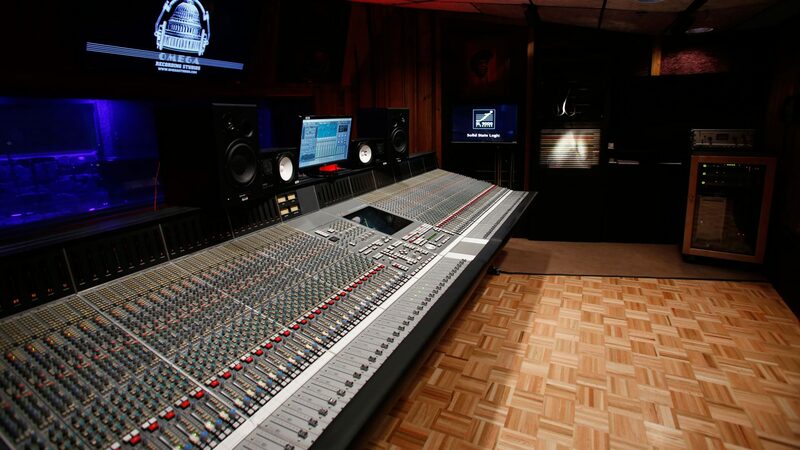 So, you’ve decided that you are going to take that giant leap and follow your dream – a career in the recording arts. Congratulations! It is truly a defining, yet terrifying moment in your life when you make the decision to allow your passions to dictate your actions. And, it’s that overwhelming passion that will eventually drive you to success in a career in the recording arts. The big question is, “How do I take this overwhelming passion for audio engineering and channel it to take me where I want to go?”. First, the most important step is to try to define for yourself what you want to be “when I grow up.” What do I want to do in this vast career field and, once I narrow it down to a few dozen choices, how do I learn to do what I need to know in order to do it? Where do I see myself a year from today, three years, five years, 10 years? Can I learn what I need by taking out a loan, buying some equipment, and teaching myself instead of a music production school? Can I take courses on-line? Is there a way I can learn by finding an apprenticeship? Will attending an audio school give me the training I need to be successful? What is the culture like? If I decide I need to go to a school, how do I choose the school that’s right for me? If the last option sounds like it’s the one for you, maybe this brief list can help you decide. I need to decide which audio engineering school will be right for me. What do I consider? 1. Location: Where is the school in relation to where I live? Can I live at home and commute to school (I’ll need to figure in additional costs for transportation), or – will I be willing to move to a school located out of town (I’ll have to figure on additional costs for room and board, living expenses). Is public transportation conveniently located? 2. Cost: How much will it cost? Tuition, books and materials, associated fees, transportation/living expenses. 3. Credentials: What kind of degree will I earn (if any)? Or, will I receive a certificate of completion? Does it make any difference to my getting a job? Are there other industry-recognized certifications offered (Pro Tools Certification, etc.)? 4. Program/Curriculum: How are the program(s) offered? Are there day, evening, weekend classes? Is there only one “comprehensive” program that offers every class the school teaches? Or – is there an opportunity to take component courses that address narrower career goals? Are exams mostly theory or are they practical, hands-on evaluations? 5. Faculty: Who will teach me what I need to know? Keep in mind that an engineer with multiple credits and accolades (like a Grammy) does not necessarily make a great instructor. And, a great teacher can be the key to unlock your innate professional abilities. Go to the school website and read the faculty bios. If you live close enough to the school you are considering, call the admissions department and ask to attend a class or two to see how instructors teach and relate to the students. Very important, ask, “Are these instructors actively involved in recording, or are they going on reputation alone?” This is an ever-evolving industry – it takes constant “hands-on” practice to stay involved and relevant. 6. Facilities/Equipment: Are classes taught in the classroom or in the studio? Is the training method primarily “show-and-tell” or is the majority of training “hands-on” studio instruction? How many students are in each class? What kind of equipment is used for teaching – is it “student equipment” or is it the professional gear used each day to record and produce industry artists? Is the equipment “up-to-date” or is it museum quality? 7. Job Placement: What will my training do to prepare me for a job? Will the school help me find a job? How long will the school help me with jobs after I graduate? What jobs have recent grads been placed in? How successful are grads at finding entry-level employment? 8. Financial aid: How do I pay for my education? Are there scholarships, grants available? Is the school a Title IV participant? Is the school certified to offer VA benefits? Does the school offer a “pay-as-you-go” option? Are there any other types of financial aid available? 9. Accreditation: Is the school accredited by a nationally recognized accrediting body? How long has the school been accredited? This is an important consideration as accreditation insures the consumer an institution of higher education that adheres to a strict set of standards for its daily educational and administrative operations. 10. Networking: Does the school provide opportunities for students to “rub elbows” with industry professionals? Are special events/seminars scheduled/ Are there memberships in student and professional organizations made available (AES, Grammy U, Alumni Associations, etc.)? Does the school promote an “endgame” that directs the student to a successful career? This list is all too brief, but hopefully can help you make an informed decision on what audio engineering school or music production school to choose. Hopefully you will enjoy the search and learn a lot about recording schools.